Jason: My name is Jason Courtney. I’m from St. Louis, Missouri. I was doing some research on lease options and I think I came across him via the internet, something like that. A little over a year and a half ago I started, so, December of 2014. Jason: I did my first deal about two weeks after sending out my first email blast so I would say it took me a week to understand the marketing aspect of the program and I’d say a week before I got my first deal. And I made $5,000 on that deal. Jason: I spent a lot of time training and reading the scripts and trying to sound like I knew what I was doing before I started calling people. But I would say once I actually got a deal, that deal probably, I probably invested three-and-a-half to four hours in that deal before I got paid. Because some of the deals seem better than other deals, but now that I’m learning more about the business, some of the deals that have less money in them are more secure deals than deals that have more money in them. I got a $20,000 down payment from a lease option tenant one time. That was pretty nice. That’s the biggest one I’ve ever gotten. But I currently own ten properties that I bought subject to. I’ve closed over thirty, a little over thirty deals with the program, and I’d like to continue to buy them and build my own portfolio. Jason: I’ve got some good deals, some deals that I didn’t do so well on at first. There’s very little cash flow on those deals and once that tenant moves out I will probably restructure it to where there’s more cash flow. But I didn’t know what I was doing at first. I was just doing things because I was desperate and needed to make this work. Joe: I won’t do a deal for less than $5,000. But I’m currently closing I want to say more than one deal a month, probably two deals a month, but it’s probably better off to say one deal a month. I have goal of closing two a month, which I hope to extend to four to six a month. I’m here this weekend to learn about automation and how to outsource some of the administrative stuff that I don’t like to do. I just like talking to people and trying to help them fix their problem and that’s what I really want to focus my energy on so I’m here to learn how to delegate some of the other things properly so I can do that. Jason: I am closing deals consistently. I think that I got spoiled the first year, going to the business where I was closing, like I said, a little more two. In one month I closed four deals, but I’d say two deals was the average and we were making $10,000 a month doing that, sometimes more. I got a little lazy beginning of 2016 so I need to, I am consistently closing deals. I have three that I’m currently working on now that I hope to close by the end of this month. I have a pipeline of deals that should carry me through to do this three to four deals a month from here on out and Joe’s telling me I’m going to be able to do more than that after this weekend. So I’m excited to learn how to do that. Jason: I think for me I want to create a portfolio that creates enough income to supply my family’s basic needs. Nothing extravagant. I don’t care to be a millionaire, but I do want the freedom, I’ve learned that money isn’t everything. And I want to experience my children while they’re young and be there for them as a mentor when they’re older. And I don’t want to be consumed with work. I want to be able to be free to do that. And Joe’s program has already made that possible for me. But my future goal is to create a portfolio so that I can not only support my family with but pass down to my children so that they don’t have to worry about finances and they can invest in their families. Jason: How I got into the program is, I had a partnership go bad and I lost everything. So I invested everything I had into this partnership and that partnership failed. So we literally, I think the straw that broke the camel’s back for me is we had to borrow grocery money from my in-laws and it just took me to a place I’ve never been, never want to be again and so Joe’s program saved our life, you know, our lifestyle anyway, not so much our lives, but, I think that the ability to make money with this program so quickly, when you’re flat broke, makes a difference. I originally had found out about lease options through another investor/group, like a guru, and whose fantastic and I have nothing but great things to say about them, but their marketing is expensive and the amount of money you have to have to do deals. We didn’t have any month. So I needed something that I could start making money with with no money at all. And Joe’s program is that. If you’re flat broke, you can go out and do a deal and I was flat broke. I couldn’t even afford signs – I couldn’t afford anything. Jason: The other thing that I think it really did for me is that we were about to lose our home because we hadn’t been able to make the payments when the partnership fell apart and we’d invested all of our savings into that business. And so instead of allowing the bank to take that house, I lease optioned it. And so then I went and bought a house subject to that my wife and family moved in to. So, I didn’t lose my house to foreclosure. I made money on the deal and I moved into a much nicer, more beautiful home that I own subject to, it’s existing financing, which has been great. 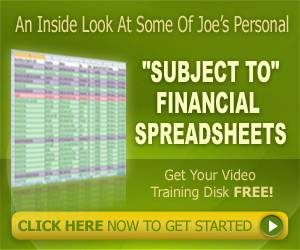 I’ve been able to make that payment because I’ve been closing deals with Joe’s program. And so it’s just been wonderful. Jason: I do this full time. So when the partnership fell apart, I haven’t, it’s all I’ve done is Joe’s program. This is what I do for a living. Jason: The first year we made a little over $100,000. We’ll probably make double that this year. Unfortunately I had some horrible debt from the partnership falling apart, so I still feel like I’m broke all the time. But we are almost at the end of paying off all the debt that we had and we’re going to get to start keeping some of this money which I’m really excited about. Jason: The only automation I’ve done is the Automarketer which is phenomenal. I send out these email blasts and they go out to people who are trying to sell their hose for sale by owner, or trying to rent it, and then they respond with, yeah, it sounds like a deal that you offer might work. Give me a call. And so that’s what I do. I also run through Zillow and I call every for sale by owner that’s been on Zillow for more than 120 days that may be willing to look at selling their home in this manner. So that’s how I find leads. But as far as automating the business, that’s what I’m here for this weekend. I really want to learn how. I know Joe teaches how to hire virtual assistants and get boots on the ground, things like that, and I’m currently doing everything. So I would like to, instead of when I first started I was working maybe ten to twenty hours a week. Now I’m doing almost a full forty hours and I’d like to get back to the ten to twenty hours a week which was really nice. Even though we’re making good money, it’s pulling time away from my family which is a big, I don’t want to do that. I want to spend time with them, and in order to do that I have to automate my business in a way that makes sense. I’m doing any automation yet, but I hope to, other than the Automarketer, which does everything for you so you don’t really have to. Jason: Bringing leads is not that difficult. Finding buyers is super easy. 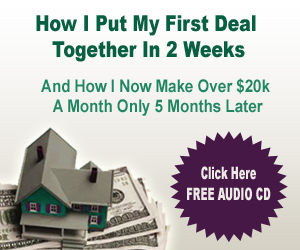 The confidence that you need for this program is talking to sellers. Once you get good at that, the rest of this program is very simple. Jason: I would say if you’re in my area don’t do it because I don’t want the competition. 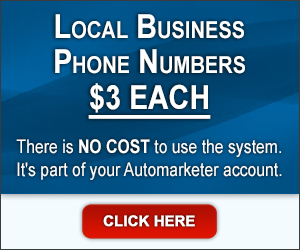 I would say that finding a way to generate leads is extremely important. And whether you use Joe’s program or somebody else’s, that needs to be your marketing is everything. I believe Joe’s is the most effective, least expensive and I would certainly suggest they start there. Because it’s made a big difference in my life. Jason: I want to thank Joe for putting all the time together to put all the videos together. 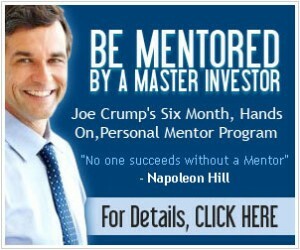 For me, I did not join the mentor program because I didn’t have any money. So the $297, I was able to scrounge that up and watch all the videos and do this business without a coach. I screwed up a lot, made some mistakes, but I was still able to make money. It wasn’t a lot of money, like I’m learning how there’s more money in these deals than what I’ve been able to squeeze out of them. 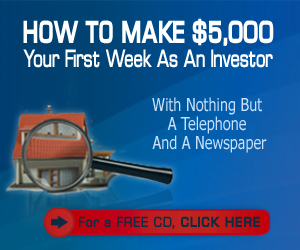 But if you don’t have any money, Joe’s Pushbutton Method, if you just follow it to the T you can start making money with this business right away and I think that you should go for it. It’ll change your life. It’s slow and gradual but once you get your first deal the confidence that that brings to you, just you’ve got to grab onto that. Because the beginning is tough. People hang up on you, cuss you out, they figure out real quickly you don’t know what you’re talking about. But learn what you’re talking about, continue to call people no matter what and do the right thing when you’re talking to them. Be honest. 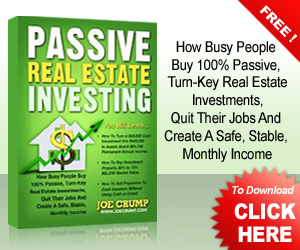 Jason: I just think that Joe’s program is the least expensive, most effective real estate program I have ever seen. And my entire background is real estate. My family owns a custom home building company that’s been building custom homes in St. Louis for over forty years and so real estate is kind of what I know. 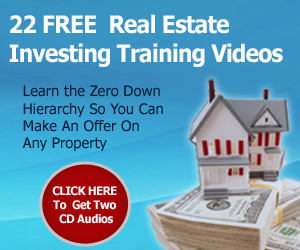 Real estate investing I knew nothing about. Joe’s program really took me to a whole other level and I recommend it to anybody. I think if you’re desperate like me, you’re probably on the internet trying to find some way to make money which is what I did. There’s thousands and thousands of programs out there. Fishing through them is extremely difficult, so listen to somebody who’s done it. I’ve done it and there’s tons of people here that are doing it and you don’t have a lot to lose because it’s pretty inexpensive. Jason: There’s a lot of programs out there. And it’s hard to fish through them and I hate that for people who aren’t, I see people that are buying these $10,000, $20,000 programs, never doing it, never making a single dollar, and it just, I’m grateful that didn’t happen to me, but I also don’t like that it happens to other people. Joe’s no bones about his program. I’m doing it to make money. However, he ultimately cares that you succeed and I think that makes all the difference. If you have the money, you should definitely do the mentoring program. I didn’t have the money but even if you don’t have the money you should still do the program. 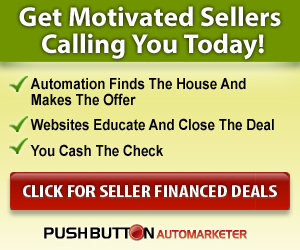 Sign up for the Pushbutton Method. I think it’s pushbuttonmethod.com. You go there and you can get all the information you need to start closing deals. Go through it at your leisure and knock it out of the park. Jason: One thing that I was told that I believe with all my heart — well, two things that I think are very important. That you can do one thing good, two things not so good, and three things not at all. This is actually advice from my own father. 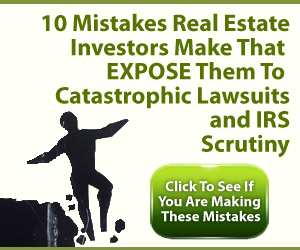 And there’s a hundred ways to make money in real estate. I think that it’s important to pick one and do it really well. I say that because that’s the other thing I like to say is there’s a hundred ways to make money in real estate. Pick one and do it well. Because I have done multiple things. I’ve done private lending, short sale negotiation, and lease options. And I can do them all fairly well, but none of them excellent. 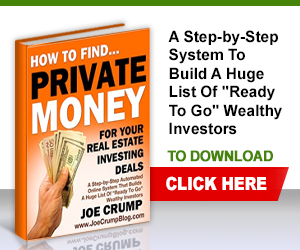 With Joe’s program there is, you know, when you’re doing private lending you have to continually find deals. When you’re doing short sales, same thing. You’re continually finding deals and there’s not much money in them. Jason: Lease options you can create wealth. And so wealth comes from ownership and creating portfolios and the lease option business allows you to do that with no money down, bad credit, whatever your situation is. So, the thing that I really wanted to say was, you can do one thing really, really well, two things not so good, three things not at all. Find your niche in real estate and do it well. Don’t try to do everything else. I think that’s advice that I’m learning to take on my own. This is my focus now and it’s really starting to pay off instead of being all over the place trying to do other deals. Jason: I just was, the advice that I’ve heard from the, there’s a hundred ways to make money in real estate, pick one and do it well. It was advice I got a couple years ago that I didn’t listen to and I’m starting to listen to now and being able to do one thing really, really well, two things not so well, and three things not at all is so true. Hopefully that helps somebody. Helped me.